His eyes roam far to his land behind the Apartheid Wall north of Salfit, sometimes he could not hold his tears back and sometimes he manages to control them. As he puts it, missing his land is like ‘a burning fire,’ as the scene of the olive harvest, which the Israeli occupation authorities made it impossible to happen, is still alive in his memory. “The occupation also tried to rob olive trees, and to present them to the world through propaganda, to promote tourism, by placing them on postage stamps as a symbol of its history and heritage,” he continued. But this does not weaken the Palestinian strength or determination and challenge, adding, “We Palestinians affirm that this is our history, and our roots, and our olives, a witness to our truth and identity,” according to Abu Maazouz. Ghassan Daghlas, the head of the settlement file in the northern West Bank, said that the land behind the wall, whether in Salfit or the rest of the West Bank, suffered heavy losses during the olive season, due to the short time during which farmers are allowed to pick olives, and due to land confiscation and uprooting, and the settlers’ assaults on fields and farmers. On the legality of what the occupation does during the olive season, researcher Khaled Ma'ali says that the Israeli occupation’s measures and the restrictions imposed by its soldiers on farmers behind the wall violate the international humanitarian law and the occupation should not, according to the international law, disrupt the olive season and harass farmers, as it constitutes a violation of the civilian population’s work as stipulated in Article 52 of the Fourth Geneva Convention. 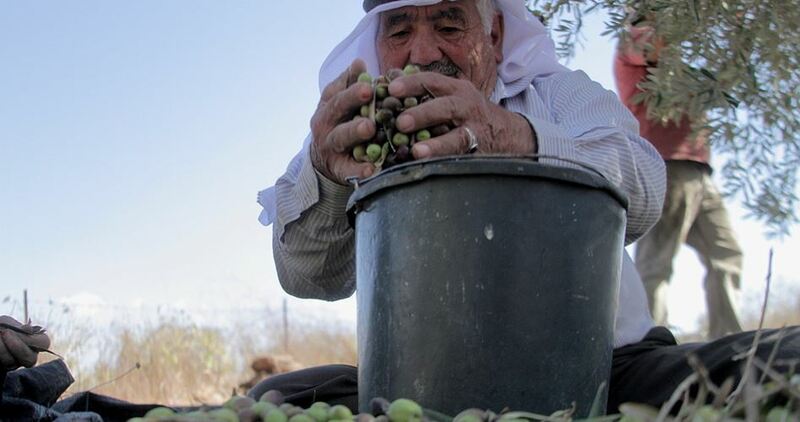 He pointed out that the villages and towns of Salfit, as well as the rest of Palestine’s governorates, suffer during the olive season from the Israeli occupation and its violations, aimed at expelling and displacing farmers to allow Israeli settlers to expand their settlements. 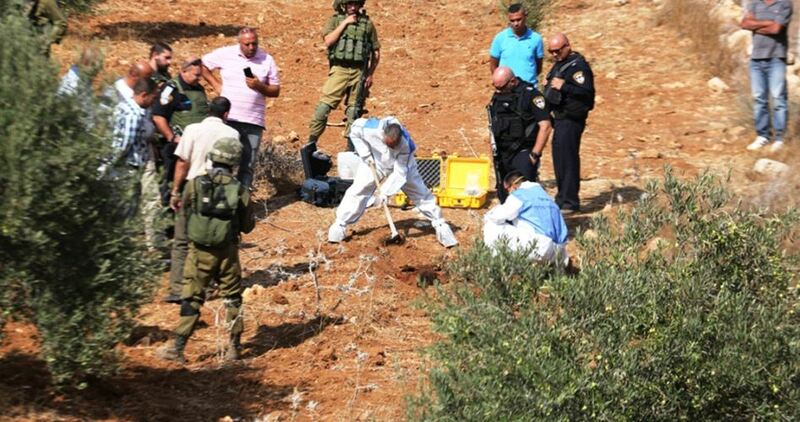 Extremist Jewish settlers on Wednesday afternoon attacked Palestinian farmers while picking olives in al-Mantara area in Kafr Qalil town, south of Nablus city, in the northern West Bank. Eyewitnesses told the PIC reporter that the attacking settlers were from Har Brakha settlement which was illegally established over Mount Gerizim in Nablus. The inhabitants rushed to the area to protect the farmers after hearing their calls and managed to confront the attacking settlers and force them to leave. 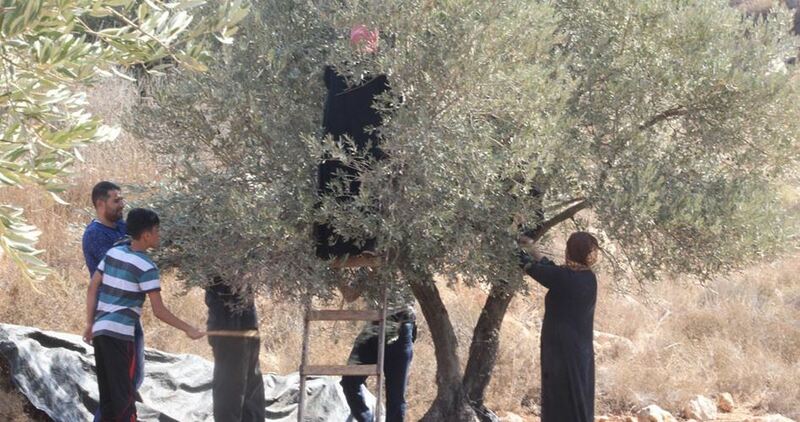 Palestinian farmers from Qarawat Bani Hassan town, northwest of Salfit in the occupied West Bank, have complained of tight Israeli restrictions on their access to their olive groves during the current harvest season. Farmers told the Palestinian Information Center (PIC) that the Israeli occupation army continued to close an important agricultural road used to facilitate their access to their lands and their work during the olive harvest season. 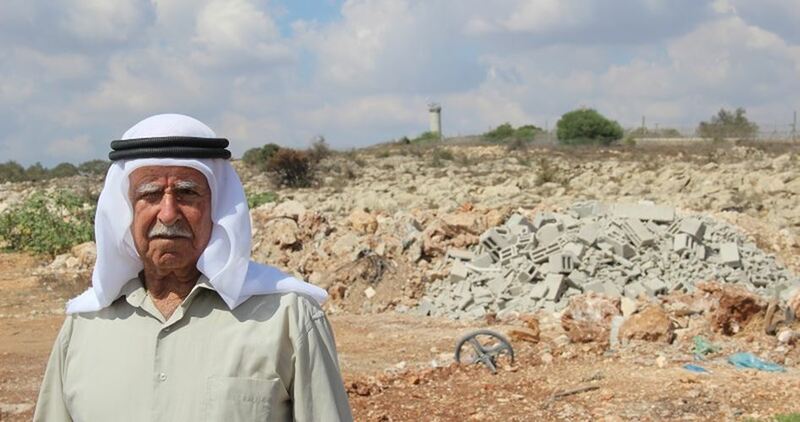 One of the farmers said that the industrial and residential settlement of Barkan devoured vast tracts of the town's land, while the Israeli army persists in imposing restrictions on the movement of local farmers every season. For his part, anti-settlement specialist Khaled Maali said that the Israeli army and settlers continue to tighten the screws on Palestinian farmers during the olive season and make it difficult for them to reach their lands, especially those located behind the separation wall. Maali said that the Jewish settlers brutalize local farmers, and burn and destroy their olive trees or saplings almost on a daily basis in the West Bank, but they intensify such assaults during the harvest season. Israeli Occupation Forces (IOF) blocked at noon Monday a main road in downtown al-Khalil city in the southern West Bank. The closure was aimed at offering protection for settlers while approaching a historic site in the area that is allegedly Jewish. Local sources told Quds Press that IOF soldiers forced Palestinians to shut down their commercial shops and blocked traffic on a road that connects Bab al-Zawiya area to Beersheba Street. The closure is going to last for a few hours until Monday evening during settlers’ march to an ancient tomb in the area, the sources pointed out. IOF troops are also closing al-Ibrahimi Mosque in al-Khalil city and banning Palestinians from accessing the holy site and performing prayers inside. While on the other hand, they are allowing settlers to storm the place and perform Talmudic rituals at the Muslims’ holy shrine to celebrate the Sukkot Jewish holiday. Farmers in the West Bank villages and towns, including West Salfit, complain about the low percentage of oil produced after pressing olives. The percentage of olive oil is up to only 10%, while it is supposed to reach 25% so as the farmers could secure sufficient income from the olive season. One of the farmers, Khalil Ahmad, from a village in western Salfit said that his daily salary exceeds $100 from a job in 1948 occupied Palestine. He wants to finish the olive harvest before the end of the Jewish holidays, as he is off work, even if the percentage of olive oil is low at this time. This claim is rejected by the Ministry of Agriculture, according to engineer Ibrahim al-Hamad of the Ministry. Farmers lose more than 70 percent of the olive oil produce, says Ramez Obaid of the Ministry of Agriculture, adding that this season is unique from the rest of the seasons. Even the early date for picking olives, set by the Ministry between 6-10 October, is only suitable for low-bearing trees, and it is in the semi-coastal areas, such as Qalqiliya and Tulkarem, while the rest of the farmers have to delay the harvest until the harvest is fully ripe. A simple calculation of the amount of olive oil reveals that farmers lose 40% of olive oil produce, which is the percentage between the actual produce of olive oil (15%) and the expected percentage (25%) of the local Nibali olives category. Farmers also lose 33% of the produce due to the difference in the growth ratio from 2 grams at the beginning of October to 3 grams at the end of October. This means that the total loss of farmers is more than 70% of the olive oil production. “There are farmers who responded to the plea of the Ministry of Agriculture. Some farmers have decided to stop harvesting for another week,” Obaid said. Farmer Mahmoud Maher of Salfit says the solution is simple: to get the Ministry to prevent oil pressing facilities from opening their doors until olives get ripe, and thus farmers will not be able to harvest their olives earlier. Workers who fear for the loss of their high wages they get for working inside 1948 occupied Palestine could give a chance to other workers, who do not work in 1948 occupied Palestine, to do the job. Agricultural engineer Nasser Hamid from Nablus said that the solution is to increase the awareness and education of farmers, whether they work in 1948 occupied Palestine or not, and to increase the control of the village and municipal councils over the harvest and organization of the season of olive harvest, as what is happening in the city of Salfit, which prevents early olive picking and imposes fines on those who do not abide, thus organizing the whole season. The Israeli occupation forces on Sunday morning stormed two Palestinian shops and an auto showroom south of Jenin, in the northern West Bank. According to local sources, the occupation soldiers set up a makeshift checkpoint in Beir al-Basha village and ransacked a car showroom and two groceries owned by the two Palestinian prisoners Mahmoud and Walid Ghawadra. The Israeli forces subjected the workers to intensive questioning. A number of shoppers have also been stopped and searched. Israeli Occupation Forces (IOF) on Saturday evening stormed Abu Nuwar Bedouin compound east of Occupied Jerusalem and broke the door of a recently-constructed school in the neighborhood. Meanwhile, Israeli Jewish settlers of Yitzhar settlement attacked Palestinian farmers in Huwara town south of Nablus city in the northern West Bank. The Palestinian activist Ghassan Daghlas said that the inhabitants of Huwara town confronted the incursion of Jewish settlers. As a result, clashes erupted especially when settlers attacked farmers while picking olive fruits in al-Halloum area, according to WAFA news agency. 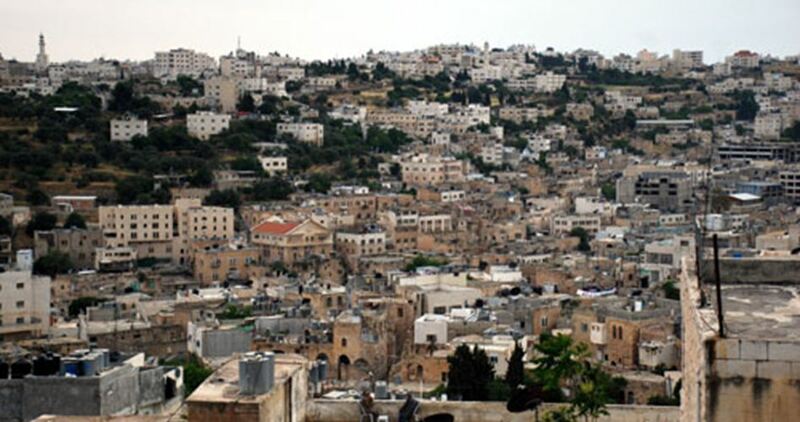 Several Israeli colonists attacked, on Saturday evening, many Palestinians while picking their olive trees in their own orchards, in Huwwara town, south of the northern West Bank city of Nablus. The Palestinians were assaulted by many colonists from Yitzhar illegal settlement, which was built on Palestinian lands south of Nablus. The assault took place in the al-Halloum area, in Huwwara; the Palestinians managed to overcome the colonists, forcing them to flee the area. Such attacks significantly increase each year during the olive harvest season, and largely target orchards that became in close proximity to illegal colonies and outposts, built stolen Palestinian lands. Other violations include burning trees and farmlands, flooding farmlands with sewage water, in addition to cutting and uprooting the trees, and illegally confiscating them by installing outposts and barbed wires. The Israeli army largely ignores these attacks, and refrains from intervening, unless the violations lead to clashes with the Palestinians, and in such cases, the soldiers frequently resort to excessive force against the Palestinians, including the use of live fire, gas bombs and rubber-coated steel bullets. After a journey fraught with danger, the Palestinian farmer Ahmad Abu Haneyya arrived in his field in Yanun village to the east of Nablus to start picking his olives with the beginning of the olive harvest season in Palestine. Abu Haneyya told the PIC that every olive-picking season, the Israeli occupation forces (IOF) and fanatic settlers try to prevent Palestinian farmers from reaching their lands, recalling dozens of attacks committed by IOF soldiers against olive fields and farmers. "The olive harvest season each year means getting ready for another round of confrontations with Israeli forces and settlers," Abu Haneyya said. The Palestinian Ministry of Agriculture has announced that the olive harvest season officially starts this year on 10th October and will continue for few weeks. The Palestinian farmers whose fields are close to Israeli settlements are worried that they may be denied access to their lands, showing concern about the usual harassment they are yearly subjected to by the settlers which sometimes includes stealing olives and burning fields down. According to the Ministry of Agriculture, nearly 150,000 dunums of land are planted with olive trees behind the separation wall that was built on the Palestinian lands of the occupied West Bank. 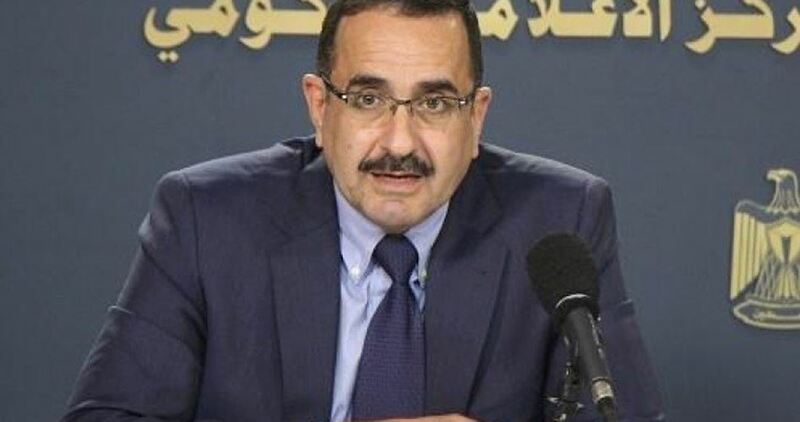 Head of the Palestinian Olive Council, Fares al-Jabi, in an interview with the PIC predicted that this year's production of olive oil will approximately total 17,000 tons. Al-Jabi pointed out that this amount is small compared to the 24,000 tons of olive oil produced in 2016. He explained that the reason for the decline in production is the high temperature accompanied with dust which has caused the soil to lose its moisture and the olives to shrink. 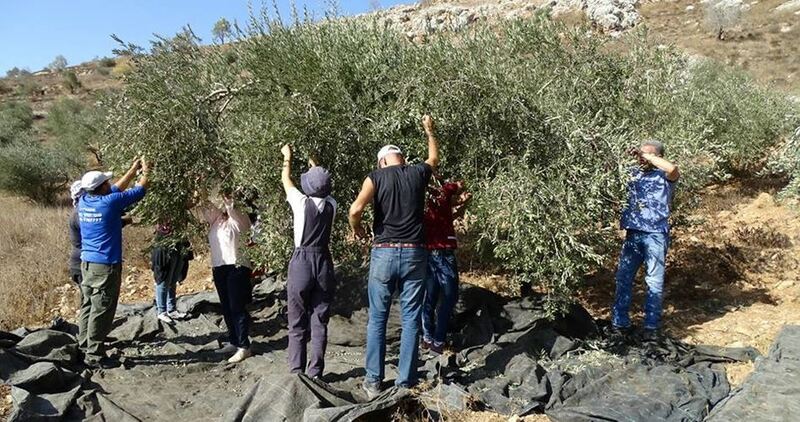 The Agricultural Relief Association in Nablus has launched a campaign entitled "We Are With You" for the tenth year in a row which calls on Palestinian citizens to take to the fields to help farmers during the olive-picking season. Coordinator of the campaign, Khalid Mansour, said that that campaign is launched to provide support for the farmers coming from villages affected by the separation wall and settlements, explaining that it is a message to the Palestinian farmer that he is not alone. The West Bank has more than 87 agricultural areas adjacent to the wall and some Israeli settlements. Mansour said that effort are made to mobilize the largest number of volunteers to help in the most vulnerable areas which include eight sites this year. Between 100 to 200 local and foreign volunteers will work in each site. Dhafer Melhem, head of the Palestinian Energy and Natural Resources Authority (PENRA), said the Palestinian government developed a four-pronged strategic plan to improve the electric power sector, affirming that the government is fully aware of the power crisis in the Gaza Strip. In an interview conducted with him by the Palestinian Information Center (PIC), Melhem stated that the first stage of the plan would be temporary lasting for three months with the aim of alleviating the power crisis in Gaza and reducing the deficit in power supply that ranges between 68 and 78 percent through relying on the Gaza power plant. The other three stages of the strategic plan, he explained, would consist of a short-term plan to minimize the power shortfall to about 20 percent by 2020, a medium-term plan until 2025 and a long-term plan until 2030 in order to meet the power needs that would result from the natural growth of the population in Gaza. He affirmed that the initial plan is aimed at providing Gaza once again with 120 megawatts of electricity and then upgrading the grid to 220 megawatts. He also stressed the need for large investments, financial resources, security stability and regional relations in order to promote the electricity sector and meet the population’s power needs. Regarding the fuel used to operate the turbines of the Gaza power plant, the PENRA official affirmed that the plant was designed to work on natural gas and then converted to operate on industrial fuel, which led to low efficiency in its power generation and heavy financial burdens on the distribution company. He pointed to the presence of a serious idea, within the medium-term plan, to turn the plant into a natural-gas-fueled facility through extracting natural gas from Gaza waters, adding that if the Palestinians had access to their gas resources, the operational capacity of the plant would be expanded to 400 or 450 megawatts of electricity. 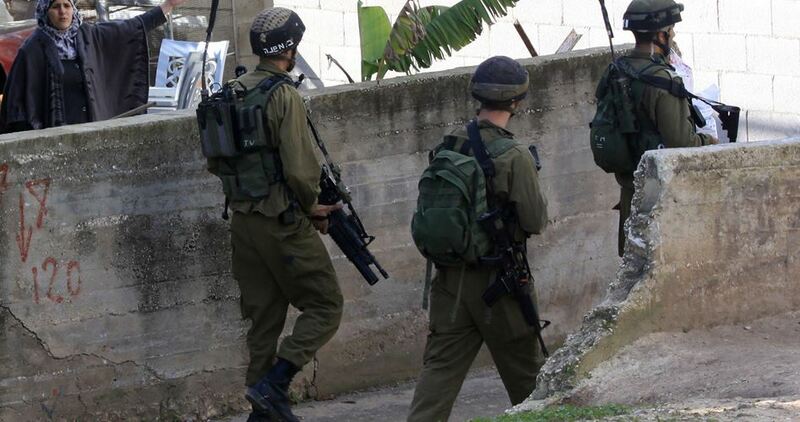 Israeli soldiers invaded, Tuesday, the al-Walaja village, west of Bethlehem in the occupied West Bank, photographed homes and a building, a graveyard and a water spring. Ibrahim Awadallah, an activist from al-Walaja, said dozens of soldiers, accompanied by employees of the Civil Administration Office of the Israeli military, invaded the town, especially Ein Jweiza and al-Hadafa area, and the local graveyard. He added that the soldiers photographed three homes, owned by Mahmoud Mohammad Awadallah, Emad Faraj and Ibrahim Nairoukh, in addition to a structure owned by Hamed Shweiki. Awadallah also stated that the soldiers photographed the town’s graveyard, and a local spring. Al-Walaja has been subject to frequent invasions, and witnessed demolition of homes and walls, in addition to the dozens of demolition orders the military issued and handed to many families under the pretext of being built without permits. 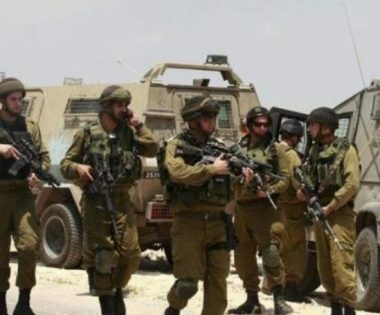 The Israeli occupation forces (IOF) on Monday night confiscated a Palestinian-owned heavy-duty vehicle used to build an agricultural road in Sebastia town, north of Nablus. 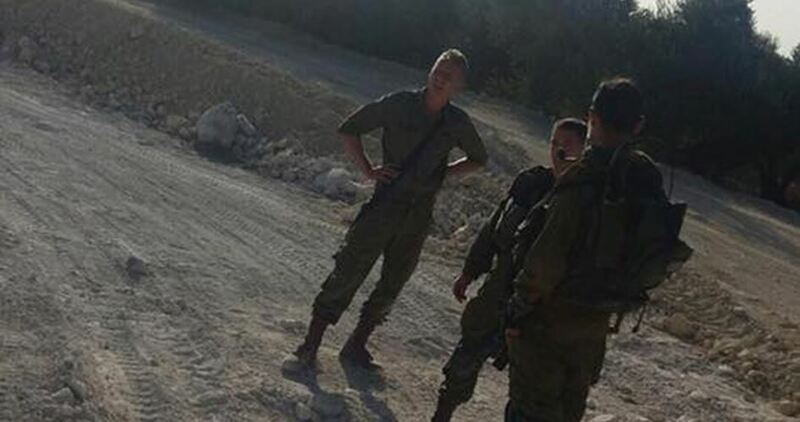 According to chief of the Sebastia municipality Mohamed Azem, Israeli soldiers aboard patrol vehicles stormed the town and confiscated a bulldozer hired to build a road for agricultural purposes. 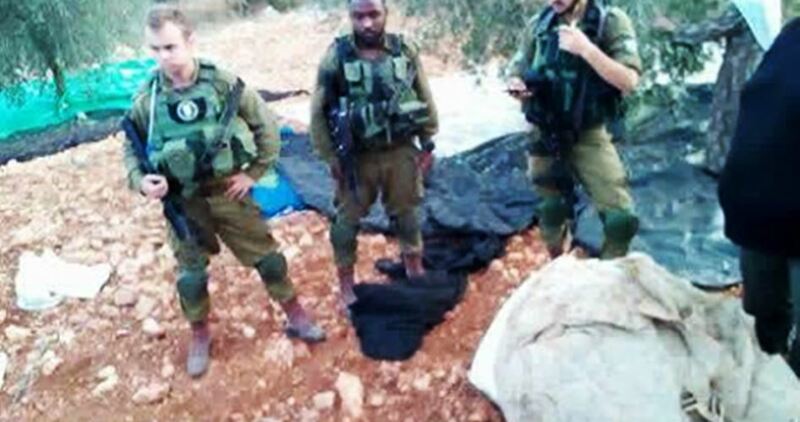 The soldiers also arrested the driver, Mohamed Hamadenah, justifying the measure by claiming that Palestinian construction works are prohibited in Area C of the West Bank.